In 2001, the Chicago Cubs selected collegiate player of the year Mark Prior with the second overall pick in that year's draft. The then 20-year-old was seen as a can't-miss prospect with a flawless delivery. In 2003, at the age of 22, Prior posted an 18-6 record, pitched 211 innings, and finished second in the National League with 245 strikeouts, according to Baseball-Reference.com. Three years later, his big league career was over at the age of 25 after a series of debilitating injuries to his elbow and shoulder. In 1973, the Texas Rangers selected 18-year-old David Clyde with the first overall pick after the right-hander dominated his high school competition. Clyde skipped the minors entirely and joined the Texas rotation just a few weeks after graduating high school. He injured his shoulder in 1976 and threw his final professional pitch less than four months after his 24th birthday. For as long as baseball has been played, players have gotten hurt—pitchers more frequently than others. For decades, pitchers—particularly young ones—have hurt their arms seemingly at random. Shoulder injuries were thought to be an unfortunate twist of fate, an accepted hazard of the job. Injured arms and broken dreams litter the road to baseball greatness. In 1884, Charles "Old Hoss" Radbourn pitched 678 innings en route to a 59-12 record, including a now unthinkable 73 complete games. That season was the second of six straight where Radbourn pitched at least 425 innings. By 1940, according to an October 2014 article by Ben Blatt for Slate, the average starting pitcher threw approximately seven innings per start. Today that number has dropped even lower. Much of that reduction in innings pitched can be attributed to the rise of relief pitching in baseball, but those inside the game also began to believe that throwing too many pitches could, at least partially, be to blame for these injuries. As a result, Major League Baseball (MLB) organizations began to cut down on the number of innings and pitches that their pitchers threw. In this century, the most innings pitched in one season in MLB was 266 by Toronto's Roy Halladay in 2003. The last big-league pitcher to throw more than 300 innings in one season was Philadelphia Phillies great Steve Carlton in 1980, according to Baseball-Reference.com. While pitchers are throwing fewer pitches in professional baseball by design, why this is so important remains a matter of debate. A recent study published online in Radiology suggests what may be a more specific cause for the frequent shoulder problems in young pitchers than just throwing all those pitches. Researchers at Thomas Jefferson University Hospital in Philadelphia posit that overuse in young pitchers can cause an incomplete fusion of the acromion at the top of the shoulder, potentially resulting in edema in the joint. According to the researchers, if a player continues to pitch once the edema has developed, the nonfused portion of the shoulder could rub on the rotator cuff and lead to injury. 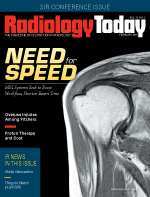 "Over the years, we found that at the end of the season, baseball players would come in with shoulder pain and we didn't see much on MRIs besides edemas," explains Johannes Roedl, MD, a radiologist in the musculoskeletal division at Thomas Jefferson University Hospital and lead author of the study. "After a while, it became more and more apparent that this is something we should look into and we then decided to do a study and look back at a the number of patients we actually had with this overuse injury." According to the study, "Acromial Apophysiolysis: Superior Shoulder Pain and Acromial Nonfusion in the Young Throwing Athlete," the research team looked at 2,372 consecutive patients who had undergone an MRI for shoulder pain between 1998 and 2012. Of those 2,372 patients, 61 had both pain at the top of the shoulder and an incomplete fusion of the acromion. In addition to their age and injuries, those 61 patients shared another trait: They were almost exclusively pitchers. Follow-up exams were given to 29 of the 61 patients with the initial injury, 21 of whom continued to pitch after the initial diagnosis. The follow-up exams all came some time after the patient's 25th birthday. Based on the follow-up MRIs, 25 of the 29 patients still had incomplete fusion of the acromion, including all 21 that continued to pitch after the initial diagnosis, while only one of the 29 examined in the control group had incomplete fusion. "Usually that bone fuses between the ages of 20 and 25 with the big shoulder bone. Guys who pitched too much and had that edema never fused," says Roedl. According to Roedl, the formation of edema is a much greater cause for concern than the acromion not fusing. "If there is no edema, it means the bone doesn't move much around. That means that it isn't fused but it's stable; it doesn't press on anything," Roedl explains. After identifying the overuse injury, Roedl and his team studied the admission forms filled out by the patients prior to the initial MRI to identify several potential warning signs for future injury. While studying the forms, the research team found that the majority of patients played baseball year-round rather than taking a few months off in the winter to allow their bodies time to fully heal. The team also noticed that the overwhelming majority of players who developed acromial apophysiolysis regularly threw more than 100 pitches per start and often pitched more than once per week. Based on these findings, Roedl recommends that pitchers whose acromion has not yet fused throw no more than 100 pitches per week and take three to four months off from throwing in order to have the best chance at remaining healthy. "The big take-home aspect is that whenever you are an athlete, especially as a pitcher, it is important not to overtrain when you are young. You have to give your bones time to fuse and develop normally," Roedl says. These recommendations echo similar statements made by organizations such as the American College of Sports Medicine (ACSM) and the American Sports Medicine Institute (ASMI), both of which have spoken out against overuse in young pitchers who are not yet physically mature. The ACSM released pitch count recommendations for all ages between 8 and 18 and ASMI made similar recommendations regarding pitch counts. ASMI also suggested that all pitchers take a two- to four-month break from throwing every year to allow the arm to fully heal. "During the course of the season, whether you are a high school pitcher or a pro, you get some damage day-to-day and week-to-week. It's usually not too bad but over the course of the season, it starts to add up," says Glenn Fleisig, PhD, research director at ASMI. "The body needs an offseason to recover. "The pitchers who took at least four months off from throwing were scientifically proven to have fewer injuries. Now, should it be four months; should it be three months; should it be two months? Everyone is a little different, but taking an extended time off gives their arm time to heal." Roedl's study similarly found that those that stopped pitching following the diagnosis often suffered no long-term setbacks. While there's no doubt that overuse contributes to injury, creating pitching parameters is an inexact science. Age and physical development are significant variables. Players mature physically at different times and heal at different rates and may relatively safely handle different amounts of pitching. Fleisig says that other factors beyond workload, particularly a pitcher's mechanics, might also contribute to injuries in young players. Fleisig and Roedl also note that the act of throwing in and of itself is not necessarily a cause for concern, so a player long-tossing or playing catch between games likely would not lead to the same type of long-term damage as pitching. In the wake of all of the research highlighting the risks of overworking young pitchers, many amateur leagues have instituted rules to limit the volume of pitches thrown and frequency with which a young pitcher can pitch. For example, Little League International, the parent organization of Little League Baseball and Little League Softball, modified its pitching rules in the middle part of the past decade. The organization replaced its limits on innings pitched with pitch counts in order to better address overuse concerns. Little League rules provide an age-based sliding scale that combines a maximum pitch count per day with a minimum number of days rest required, depending on the number of pitches thrown in an outing. For example, a 12-year-old Little League pitcher may throw as many as 85 pitches per game, but must rest four calendar days before pitching again. If the player throws 21 to 35 pitches in an outing, he or she may rest just one day. American Legion Baseball, which serves 100,000 teens between the ages of 15 and 19 annually, according to the organization's website, has an innings-based rule that pitchers may throw no more than 12 innings during any consecutive three-day period. This rule permits pitchers to exceed the 100-pitch-per-week threshold. American Junior Legion, for players as young as 13, restricts players to no more than 10 innings in any consecutive three-day period. Babe Ruth Baseball, a league for children between the ages of 13 and 18, limits pitchers to seven innings per calendar week, and requires two days of rest if a player pitches more than three innings in a game. Even MLB has seen the need for protecting young arms and announced the launch of the Pitch Smart arm safety initiative in November 2014 following the conclusion of the World Series. Pitch Smart is a "series of practical, age-appropriate guidelines to help parents, players and coaches avoid overuse injuries and foster long, healthy careers for youth pitchers" according to the mission statement on the website, which lists Fleisig and his medical partner James Andrews, MD, among the members of its advisory committee. In addition to providing guidelines to players, coaches, and parents, representatives from MLB said they would work with any interested amateur organization to develop safe and effective pitching limitations. "Ultimately, we believe this program is a long-term step toward keeping present and future pitchers healthy as they progress through all levels of baseball," said MLB's Executive Vice President of Baseball Operations Joe Torre in a press release. While the rules of most organizations allow pitchers to throw more than the 100-pitches-per-week recommendation, it is clear that there is an effort being made to protect young arms in a competitive environment. Still, the desire to win and develop players can put arms at risk. The best starting pitchers are likely to pitch more often as the coaches try to win games. Additionally, those pitchers are more likely to throw deeper into games and are more likely to continue playing baseball beyond high school, whether that means getting drafted by a professional team or playing in college, where, ironically, the pitchers face the most risk of suffering long-term damage to their shoulder. The National Collegiate Athletic Association (NCAA), which regulates most collegiate sports, has no pitching limitations despite the fact that many incoming freshmen and sophomores are still developing physically. As a result, it's easy for college pitchers to throw far too much, driven by coaches and universities with short-term goals of winning in the present, even at the expense of the players' long-term arm health. "College coaches have no direct incentive to develop players for pro ball, to keep them healthy," says Keith Law, who has been covering amateur and minor league baseball players for ESPN.com and ESPN's Scouts, Inc since 2006. "I wouldn't say most coaches deliberately ignore that side, but it's not part of the criteria. Their job is to win. "That often means using pitchers in a way that a pro team would never use them," he adds. According to Law, who worked as a special assistant to the general manager for the Toronto Blue Jays prior to joining ESPN, overuse as an amateur could have major financial ramifications for any player talented enough to be drafted by big league teams, as workload is factored in when scouting talent. "I've never heard anyone say, 'We won't take that guy because he threw too much in high school,' but it might reduce his attractiveness to teams and that means he might get less money," Law says. Armed with this information, Law says that he has, in the past, advised high school players to avoid certain colleges that have a history of overusing pitchers or producing pitchers that suffer chronic shoulder problems once in pro ball. "I've told kids and parents to consider this [injury history]. 'Don't send your kid to School X if you're concerned about his health, because they have a proven track record [of overusing pitchers],'" Law says. "It's not just overuse, but it's overuse that may be related to subsequent injury. I think that makes a much better case than just saying they threw too many pitches." With college athletes, the burden of speaking with the coach regarding workload typically rests with the pitchers, who must tell the coach if their arm is tired in the middle of a game or if their shoulder is sore for several days following a start. When players are younger, however, Law says that it is the responsibility of both players and parents to speak with a coach in the event that the coach is using a pitcher too hard. "Teams are looking more and more at [workloads] for high schoolers. There's more scrutiny certainly on high school pitchers who we know are abused." While the vast majority of players don't play beyond high school, for the few that do the economic stakes can be high. Early first-round draft picks are receiving signing bonuses in excess of $5 million and nearly every player taken in the first 75 picks in 2014 received a bonus of at least $1 million, according to MLB.com. Even if a young player doesn't have the kind of talent to play ball professionally, baseball can go a long way in offsetting the ever-increasing cost of college. If a pitcher is good enough, playing baseball can be a life-changing opportunity. However, that chance may be threatened if the player throws too much as a teenager and develops shoulder problems as a young adult. Roedl is the latest in a long line of researchers to offer words of warning regarding the perils of pitching. According to Law, professional teams have taken notice, but the wait will seemingly continue, as amateur coaches have been slow to adapt. "Almost all of the kids, parents, and coaches have good intentions," says Fleisig. "Kids and parents want to pitch and want to play baseball because they love it, but more is not always better." — Tony Fioriglio is an editorial assistant with Radiology Today. While baseball pitchers' overuse injuries receive most of the attention and research, Johannes Roedl, MD, a radiologist in the musculoskeletal division at Thomas Jefferson University Hospital, believes any athletes who play sports requiring an overhead arm motion—including swimmers, volleyball players, and lacrosse players—may be at risk of developing an incomplete fusion of the acromion at the top of the shoulder, and this could potentially lead to chronic shoulder injuries, particularly to the rotator cuff. "Our population was mainly baseball players," Roedl says. "We see a lot of baseball players, but it might be different sports at different hospitals in different communities." In particular, Roedl believes fast-pitch softball players—again, primarily pitchers—may be at risk, due in large part to the similarities between the arm motion in softball and baseball. "With a windup in softball, even if it's a different motion, you still have the windup, which is an overhead motion. It still goes above the shoulder," Roedl says. "The important part is the overhead part. It doesn't matter if the end is underhand. We think it's an overhead issue." Opinions differ, but there is a common perception that fast-pitch softball utilizes a "natural motion" and is less likely to injure pitchers' arms. Some fast-pitch softball organizations have instituted pitching limits similar to restrictions on their baseball counterparts. However, there's less research available and recommendations vary more from group to group in softball. Softball restrictions generally allow more pitches than do baseball rules. For example, the University of Florida department of orthopedics recommends no more than three consecutive days of pitching for girls aged 15 and older, limiting pitchers to 140 pitches per day for the first two days and 100 the third day followed by two days of rest. Little League Softball limits players 11 and younger to 12 innings per day, and requires a day of rest if more than seven innings are pitched. In both cases, softball pitch limits allow softball pitchers to throw more. Ultimately, more research will be needed to determine what risks softball players and other athletes face when it comes to overuse and how to address them with pitching limits.